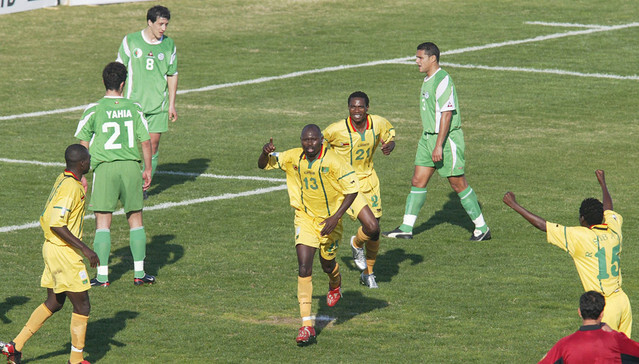 Zimbabwe made their first AFCON appearance in 2004 that in Tunisia. The Warriors were knocked out in the first round from a Group that had Cameroon, Algeria and Egypt. Zimbabwe were edged 2-1 by Egypt in despite the legendary Peter Ndlovu opening the scoring. Next up was a thrilling match against a very strong “Indomitable Lions” squad with the score line 5-3 in favour of Cameroon who were the defending champions. But the best was saved for last as Zimbabwe ended their campaign with a 2-1 win over Algeria .Adam Ndlovu gave the Warriors the lead with a header following a corner. Minutes later speed merchant Joel Luphahla scored the second.